type40 - Doctor Who news and views: WHO'S WHO? Amidst all the excitement surrounding the royal baby let’s not get distracted from what’s really important; who’ll be the new Who? According to RadioTimes.com we could know by next month; the BBC is, apparently, seriously considering revealing the identity of the new Doctor on a Doctor Who Confidential special, as done with the introduction of Matt Smith in 2010. 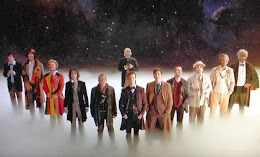 According to the same source, the 50th anniversary episode of Doctor Who will feature one of the pre-Eccleston Doctors, either Paul McGann, Colin Baker, Sylvestor McCoy, Peter Davison or Tom Baker. With David Tennant returning for the highly anticipated episode, that’ll make three Doctors on call - four if you count John Hurt. 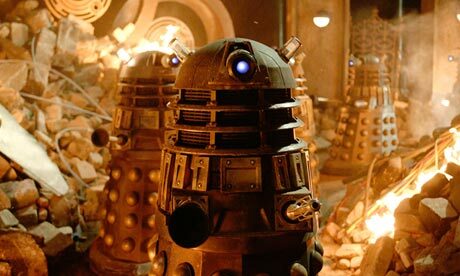 Having some back-up, however, might be a sane move when facing both the Zygons and the Daleks.